Here’s the simple answer: There are reports of multiple home-built DIY models that have a top speed over 100 mph. However, these are probably not the safest models available and I must say that would be pretty inconvenient. Especially if you would accidentally push the throttle and take off in 100 mph by accident. No, you probably came here with the intent on finding a high-speed electric scooter that you can actually buy and use. Even if they don’t reach 100+ mph, the models below deliver a fast but even more important safe ride. 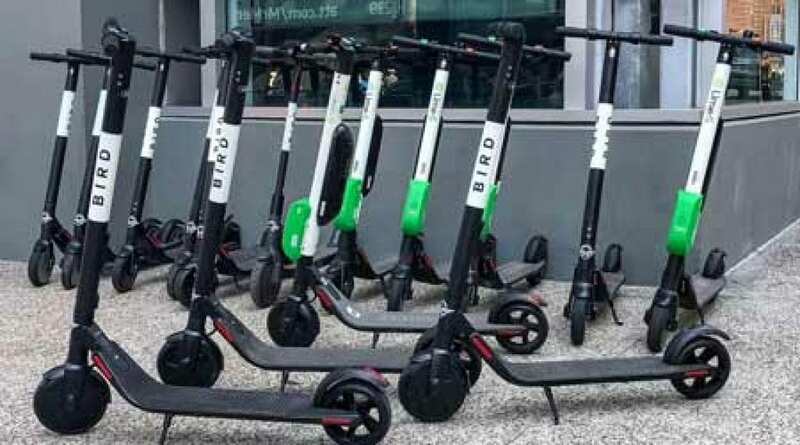 How fast can a rental scooter from Bird, Lime, Lyft or Spin go? 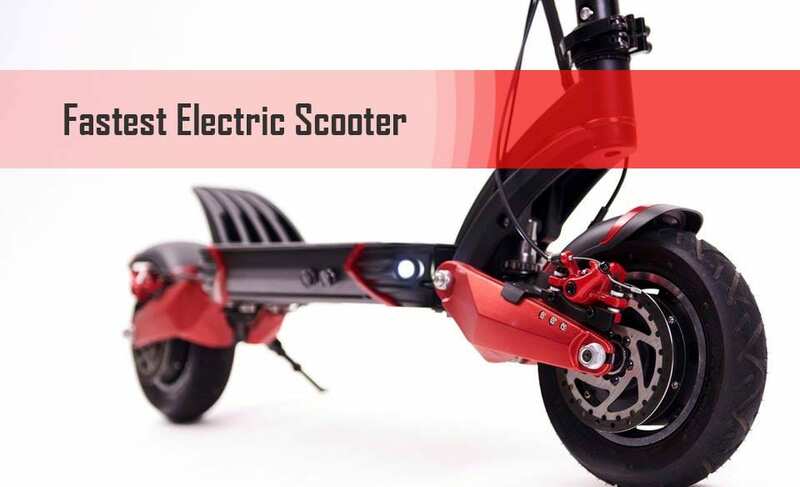 Who would enjoy a high-speed escooter? Both the Nanrobot RS4 and RS7 comes would win the price as the fastest electric scooter you can buy in the world right now. They both have a maximum speed of 55 mph. This is delivered through two 1600W hub motors(3200W total). With a 60V/31.5Ah battery, you can expect to get up to 55 miles on a single charge, if driven in moderate speed. The Rs7 model comes with a few more features and improved comfort, while the Rs4 comes in at ⅔ of the price it still delivers an insane ride to its buyers. Both units are tested properly and deliver a high quality and safe ride. Remember to think about parking this thing. High speed comes at the cost of a heavy unit and the RS7 weighs 88 lbs so make sure you at least have an elevator. The Dualtron Thunder is definitely another contender among the fastest and most powerful electric scooter on the market right now. Boasting 2 x 1200W motors(total 2400W) with a combined peak power of 5400W. It can deliver up a speed of up to 50 mph. You can ride for about 80 miles on a single charge if you don’t go full throttle all the time. Built by the experienced Singapore company Mini Motors you can rest assure that this scooter does not only deliver insanely high speed but it does so while being comfortable to ride and safe. As safe as an electric scooter that does 50 mph can be. It is a heavy-duty unit and weighs in at 95 lbs. It’s nothing for the faint-hearted and except needing big balls to ride it, you also need tick pockets as it costs almost $4,000. We are still in the premium class and this is one of my favorite scooters. Cheaper than the above mentioned, hard to find, but man does it look good. The Zero 10x will give you an excellent ride up to 40 mph and depending on the battery size you choose it can deliver a driving distance of up to 70 miles. It weighs in at around 77 lbs meaning its just 10 pounds under the winner of our test. Apart from being delivered with two chargers to decrease the time needed for a full recharge, it has multiple different features that will provide you with a very comfortable ride. On top of that, it also has one of the sickest designs I’ve seen in a long time. Definitely worth a consideration if you can settle with a scooter that is super fast and not super mega fast. The Qiewa Q1 hummer has something that the above models are missing, and that is moderation. 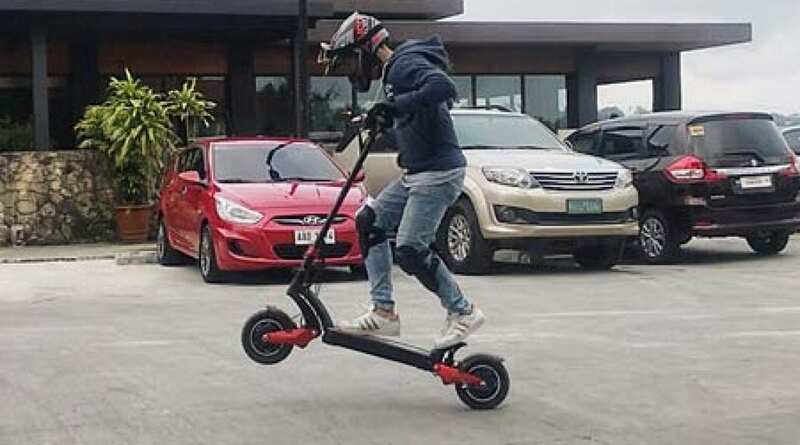 Most people who commute love this scooter because it provides you with a comfortable and stable ride that can go for up to 60 miles on a single charge. It has the perfect speed limitations for commuters set at 35 mph. You can ride around effortlessly around 20-25 mph commuting your way, knowing that if and when you need it there is more speed to be had. Another perk with not having the world’s fastest model is that it weighs a lot more. Smaller motors equal a lower weight added to the scooter. The Q1 hummer has a weight of 55 lbs which makes it at least a bit easier to work with. One of our favorites for the daily user who wants something above the average. Razor isn’t known for producing fast electric scooter models. The fastest Razor electric scooter model is the E300 or the new model called E-prime, both having a not so impressing top speed of 15 mph. With both of the above scooters, you can get about 7-12 miles of riding, which should reflect a riding time of about 40 minutes. The new Razor e-prime scooter has a new far more appealing design in comparison to the older models. It also looks a bit more modern and up to date. Thankfully they are finally switching over to lithium-ion batteries and hub motors in order to create lighter and more user-friendly units. Scooters used by the scooter share/rental companies rarely go faster than 15 mph. Most of these companies use models with similar performance, most commonly the Segway ES1, ES2, or the Xiaomi m365. These models are built mainly for adults to ride on. Proper safety gear should always be used while riding a scooter of this caliber. If you ride a high-speed scooter you should be aware that even a simple single person accident could end up with a fatal outcome. These models are not always legal to ride on the road and should only be used by adults, with one exception. The Razor ones mentioned above are fine for kids/teens to utilize too. Those who buy a really powerful electric scooter need to be aware of the risks involved. If you’re that serious about your riding then you will most likely know that not just any helmet or safety gear will do. No, you’ve got yourself a premium scooter so go for the premium protection too. No point in being cheap there. The law around electric scooters isn’t consistent between all states and countries for that matter. For example, riding an electric scooter in New York could land you a $500 fine. They’re not too picky about it though. What I mean is that every state has their own laws that regulate these. I have put together a few general guidelines about these laws. However, they might change in the blink of an eye. What I am sure of though is that riding an electric scooter above 30 mph will probably make people turn their heads in interest, that includes cops. So make sure you’re on the right side of the law in your state/country before making the purchase. As one might expect there are a few safety concerns when it comes to an electric scooter with powerful batteries like these above. Not only are the batteries enough to blow up your garage, or at least burn it down. There is also a higher need for accurate and timely maintenance. You don’t just jump up and ride around until it breaks. You need to take care of your scooter because a loose screw might be what’s standing between you and a hospital. Believe me, I just dropped a wheel on my electric skateboard, luckily for me, I was riding really slow when it happened. You will need to step up your protection(LINK). You can’t just grab a helmet and be on your way. With these scooters, I highly recommend investing in a full face helmet + a nice bikers jacket, boots, and pants with built-in pads. So don’t be riding around in shorts and t-shirt now! The fastest electric scooter of them all is definitely the NanRobot RS7 at a top speed of 55 mph, closely followed by the DualTron Thunder that delivers up to 50 mph. In third place, we have a fairly new model called Zero10x. My research tells me this one is going to be really good. Unfortunately, I have yet had the chance to try it out yet. Fourth place goes to one of the most recommended premium scooters, the Qiewa Q1. A scooter that has everything you might need for longer commutes. Last but not least the fastest razor scooter, the E300 or E-prime. At 15 mph it’s not really that fast, but it is fast enough for a kid and it is the fastest electric scooter in the Razor line-up. So which one these electric scooters will you choose? Do you need hyperspeed 55 mph or would a more modest 30 mph do the job? I hope this article of mine has helped you find how fast of a scooter you might need to ease your daily errands.